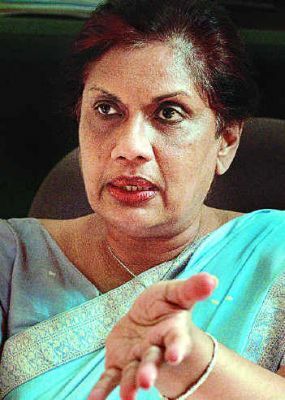 Former president Chandrika Kumaratunga in a clear reference to incumbent president Maithripala Sirisena declared that the country needs leaders with backbones. Speaking at an event in Veyangoda, the former president, said that there should be a philosophy for the rulers to develop the country, a clear programme and leaders who have the backbone to implement it. Sources close to her told Colombo Telegraph that she was referring to Maithripala Sirisena. These comments come in the wake of a SLFP Central Committee meeting where Kumaratunga came in for a lot of flak. Kumaratunga expressed opposition to a proposal for the party to form an alliance with the Joint Opposition (JO) to contest the forthcoming local government elections, asking how the party could work with rogues. The question was then posed to her whether there were no rogues during her tenure as President. 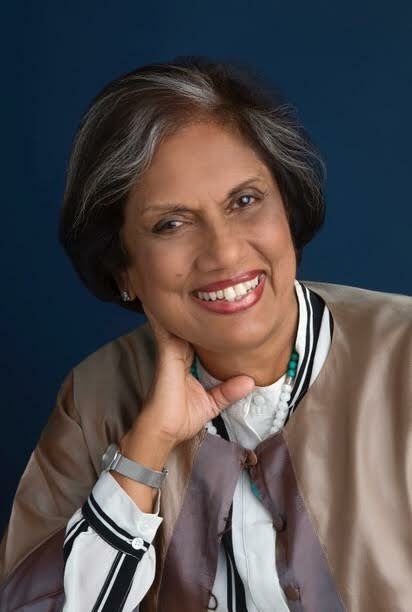 Kumaratunga was instrumental in persuading Sirisena to contest the 2015 presidential election as the ‘common candidate’ and at the time claimed that Sirisena was the only person in the Mahinda Rajapaksa cabinet who was not corrupt. Kumaratunga did not reiterate this claim when Sirisena gave cabinet portfolios to several ministers of the Rajapaksa cabinet and neither did she raise objection. CBK would keep in mind the judgement of the Supreme Court and the findings made in it by Justice Shiranee Tillekewardene when CBK gets on to public platforms to air her opinions on other politicians. CBK f was found to have abused her power as President and made decisions relating to lands owned by the State as if such land were private property. She acted in that instance not in the public interest but entirely beyond the powers given to the President under the Constitution. The fact that CBK personally had to pay Rs.4 Million as compensation says it all. Sometimes it is best to keep ones mouth shut when the words coming out of it has no credibility!! She is a typical SL politician. It is sometimes difficult to ignore what stupid people say, I guess. Sometimes the “elixir” numbs the senses and dulls the memory. Trying to understand CBK’s criteria. Would Sanath Gunatilleke fits the bill? can’t we fix CBK’s balls onto sirisena.With all these plastic surgeons around doing cosmetic surgery it should be easy.Dunno whether CBK will lend her balls.She was the only person with balls when she was the president too. We have seen what a leader with a backbone did. Now seeing a leader without a backbone is doing. I object CBK comparing MS to spineless this comment degrade and demeans all honorable spinals individuals in Sri Lanka. Corruption is corruption and needs to be dealt with from the top. A man who gives a classy house, holiday homes and all the luxuries of life to his wife and kids, has no liesence to sleep with prostitutes. That’s what the Rajapakse’s did. They beautified our roads and cities. Yet they prostitutted them selves and our nation. The white vans, the BBS, Trying to be president for ever are a few things that showed they loved ONLY them selves. How politicians both blue and green think the law applies not to them. This culture needs change. If not we will be third world forever.